In terms of the calendar, fall is almost over and winter is a few steps from us. 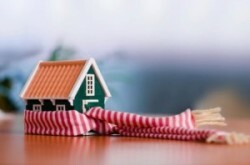 Home heating in winter obey the expense of increasingly larger with increasing prices of natural gas and electricity. 1. If your windows are old – a house with wooden windows, make sure you are well grouted and does not allow cold air inside. It has been shown that windows are responsible for the largest heat loss of a home, so their tightness is extremely important . 2. By double glazed windows and heat losses through windows. To reduce these losses affect not only thermally but also financial, replace curtains drapes dense vapor, possibly even doubled on the back, the insulating layer will not allow heat to leave the house . 3. Another trick used by generations is accumulating heat provided by the sun during the day. Do not forget to discover sunny windows in the morning to allow the heat to penetrate inside the house. Immediately after sunset pull back the thic curtains so you register less heat loss at night. 4. No matter how ugly it would be, and no matter how you try to disguise them in the rest of the year, in winter the radiators are indispensable. So try not to cover them with anything, for maximum efficiency. And if their appearance bothers you very much, you can paint in a color that will help them not to lose the room decor . 5. Not only windows heat losses, but through the exterior walls, especially when external insulating layer is missing. Another method " Old stile " is moving in winter to large pieces of furniture ( library , wardrobe , sofa , etc. ) on the outer wall. In this way you get a better insulation of the room . 6. Remember the famous Carpet " Abduction from the Seraglio ", so popular a few decades ago in the homes of our country ? Well , originally the carpets and rugs hanging on the walls had insulating role very effectively, would add our grandmothers. So you can call a carpet, rug or blanket to insulate your liking winter outside wall. These can be integrated and modern styles of home landscaping. 7. Born many centuries ago, canopy bed was invented primarily for the need protection from cold and cold air currents. Mounted above a canopy bed equipped with curtains dense and I 'll provide a pleasant temperature during sleep due to the greenhouse effect that will create even if the bedroom is cooler than you want . 8. Keep rooms doors closed and especially the rooms cooler, used less or not at all in winter, to stop the flow of cold air to enter the room heated. You can even fill the gap under the doors of those rooms with cushions long and narrow, you can do it yourself from old clothes or fabrics. The same cushions can be used for better window insulation. A more modern method is to apply a special sponge in the bottom of the doors. 9. Simpler than to heat an entire house is to warm yourself. A pair of thick socks, wool really is absolutely mandatory. It is said that the cold comes from the legs, so do not forget to have your feet well protected from the cold . And at night when you get into bed, and take a few bottles filled with hot water will immediately warm sheets and will help you sleep better. 10. A good investment, but increases your electricity bills are electrical sheets, with which you can warm the bed before retiring in record time.